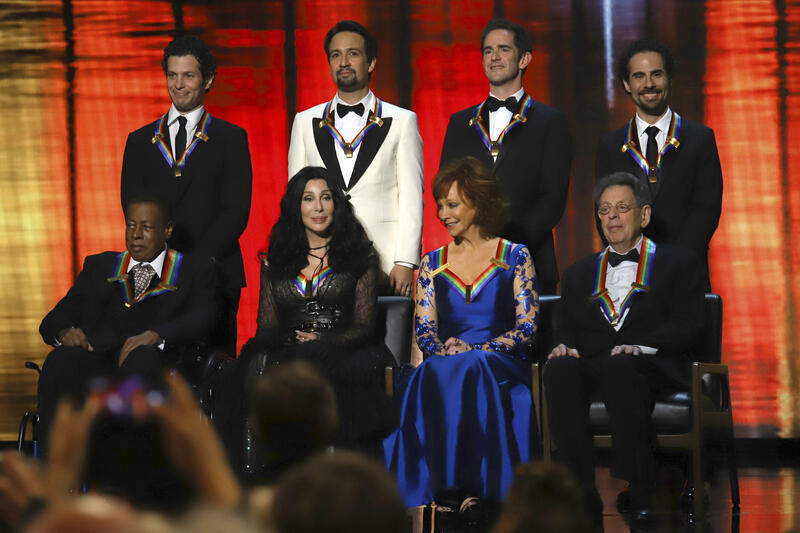 WASHINGTON -- Last year's Kennedy Center Honors ceremony was almost overshadowed by controversy surrounding the sitting president. This year's event took place in the shadow of the death of a former commander-in-chief. Sunday night's ceremony honoring lifetime artistic achievement featured multiple tributes to former President George H.W. Bush, who died Friday night at age 94. For the second straight year, President Trump and first lady Melania Trump declined an invitation to the awards. They returned to Washington before dawn Sunday from the Group of 20 summit in Argentina. The Trumps skipped last year's ceremony after several of the honorees - most notably leftist television producer Norman Lear - threatened to boycott if he attended. This year, nobody issued that kind of overt threat, but the Trumps still announced three weeks ago that they wouldn't attend. Bush attended the Kennedy Center Honors for most years during his presidency - and even afterward, during his son's presidency - but like other leaders, he was pulled away by major issues that demanded his time. Bush didn't attend in 1989 because he was at a summit in Malta. Jimmy Carter missed the 1979 awards because of the Iran hostage crisis. Bill Clinton was on his way to a conference during the 1994 Kennedy Center awards. Mr. Trump, however, is the first president to miss them twice. Had he gone to the Kennedy Center, he might have faced opposition from at least some of the honorees, including Cher and Lin-Manuel Miranda (who was also honored with a star on the Hollywood Walk of Fame). Trump and his administration have put unprecedented distance between themselves and the arts and science communities. No arts or humanities medals have been announced or handed out since September 2016, when Barack Obama was president - the longest gap by months since the awards were established in the mid-1980s. This year's event contained a break from tradition by honoring an actual contemporary work of art - the blockbuster musical "Hamilton" - in addition to lifetime achievement awards for late-career artists. Writer and actor Miranda, director Thomas Kail, choreographer Andy Blankenbuehler and music director Alex Lacamoire were honored as "trailblazing creators of a transformative work that defies category." "She is the true original," Goldberg said. "She not only marched to the beat of her own drum - honey, she is a one-woman band!"